There are 3 versions of this release, with this 1st pressing being the rarest. It includes a track called "Steve" that's not available anywhere else. Likewise, an unknown hidden track (usually referred to by fans as either "they say it rained the day your mother gave you away" or "Rained The Day" or "Keep It Together") can only be found here. The CD cover looks exactly the same as the second pressing, the only difference is the tracks on the back are different (obviously) and there is no "RR" on the spine. By the way, the band got the design idea for the cover from a 1982 book by John Fante called Dreams from Bunker Hill. Availability: out of print. This CD is very hard to find. Your best bet would be to check eBay regularly. Probably expect it to go in the $300 range. Luckily, you can find MP3s of both exclusive tracks without too much trouble. A reissue of the self-titled CD, with a few changes to the tracklist. "Teenage Love Song" is slightly diffrent (a keyboard solo added). The last track clocks in at 22 minutes. At about 3:12, the song "Troubadours" starts, and then when it's done there's a slow beeping (sounds like someone hitting a high note on a keyboard over and over) until 19:34 when there's an answering machine message/phone call for about a minute and a half. This is a strange conversation with Jenny asking someone named Deborah to pick her up from her house to go to some event that she doesn't really want to go to. Apparently, this is an actual message that was on Jenny's machine for a long time, probably because they thought it was pretty funny, so I guess they decided to just put it on their CD. Then it beeps for another minute at which point Blake says thank you for making it through the "annoying noise of death" and that someone named Daniel is going to give us a special treat. Daniel (I think it's Daniel Brummel from Ozma?) proceeds to strum a tune on acoustic guitar with the only lyric being "Ginger" repeated a few times. He soon stops to ask if the shirt he's wearing makes him look gay, at which point there's giggles and it ends. There's a different version of this CD that used to be sold on mp3.com around the year 2000. 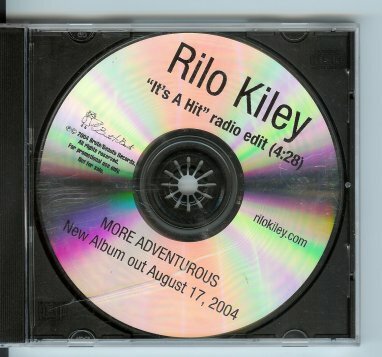 "Rilo Kiley" and "mp3.com" is imprinted on the front of the cd by the manufacturer. Tracklist seems to be identical, however the songs are in both standard cd music format as well as MP3 format, so it can be played in a cd player or with a mp3 player. A multimedia interface appears when you play it on your computer. Availability: out of print. Your best bet is eBay. Probably expect it to go in the $300 range. Another reissue of the self-titled EP, omitting "Glendora" and "Teenage Love Song." Apparently the band "just wasn't feeling those songs anymore." "The Annoying Noise of Death" stuff has been left off as well. It's worth noting here that "The Frug" and "85" were included on the soundtrack to the film Desert Blue. Both versions there are slightly different early mixes. 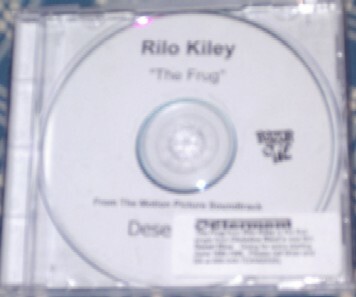 "The Frug" was the first single for the soundtrack album, and though it was not properly released as a cd single, there was a music video made for it (available on the Desert Blue dvd) and a promo 1-track cd was sent to radio stations (picture). Availability: out of print. Used to be for sale at RK's official site for $10 back in '01 and '02. Your best bet these days is eBay, where it now has been known to sell for around $250-400. 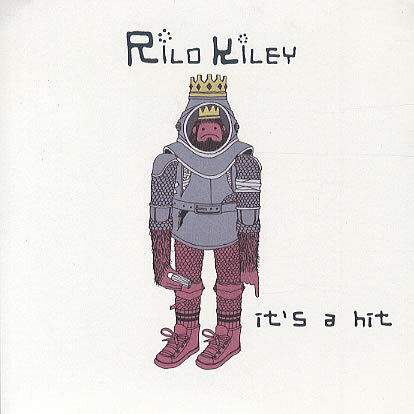 If you count the first "Rilo Kiley" CD as an EP, then that makes this their first full-length. The band produced and recorded the album themselves. It was originally self-released on Rilo Records on January 31, 2001, then re-released on July 31, 2001 by Barsuk records of Seattle. The two versions have some slight differences: the track "Variations on a Theme (Science vs. Romance)" does not appear on the original release. The Barsuk CD has the hidden track as it's own track following a minute of silence, whereas on the early release, it's tacked onto the end of track 14 after about 10 minutes of silence. 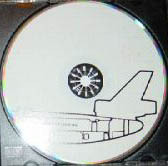 Also the cover and disc is different: no 'airplane seats' picture in the first pressing. This version is quite rare and sold for over $100 on eBay in November '03 (I'm not sure what it's gone for recently). The title of the hidden track has been a big source of confusion for fans. Long story short, it used to be known as "Spectacular Views" but was later changed to "Salute MY Shorts!" after the band released another song by the title of "Spectacular Views".. The track on Execution of All Things is a totally different song. While the album was not originally put out on vinyl, it eventually was released in a 2-LP set a decade later on March 11, 2011. It's on 180-gram vinyl with a special etching on the 4th side. 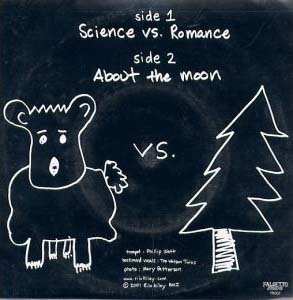 Single released by a small UK label, consisting of "Science vs. Romance" from Take Offs And Landings, plus "About The Moon," a b-side that's unavailable elsewhere (It marks the first time the Watson Twins sang backup to Jenny). This 7" was available from Barsuk's website for a short time, but they quickly sold out of their stock, leaving Falsetto Records as the only official source to buy it. Falsetto, too, finally sold out of their stock in January 2004. Availability: out of print. Check eBay. Has been known to fetch anywhere from $25 to $75. Follow-up to Take Offs released October 2002. Recorded by mainstay Saddle Creek producer Mike Mogis at Presto! 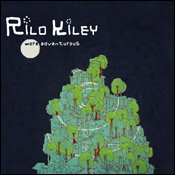 Recording Studio, The Execution of All Things features many of Rilo Kiley’s labelmates on the album. There's a 12th track that's nothing but a few seconds of silence. The reason for this is the hidden track ("And That's How I Choose to Remember It, pt. 3") which comes in the pre-gap after track 11.
more info: reviews.. lots and lots of reviews. 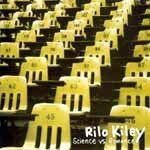 Released in the UK on 22 September, 2003 to coincide with Rilo Kiley's first European tour. B-sides include "Emotional" (an outtake from EOAT), and "After Hours" (a cover song previously only available on a rare Devil In The Woods 7".) The vinyl release has a slightly different cover, with the picture being in a powder blue frame. There is also a promo cd which includes the same 3 tracks, but comes in a plain white slipcase with black text. Availability: in print. (Saddle Creek has both cd and vinyl available). CD might also be ordered from Amazon or Amazon.co.uk. The 7" vinyl also might be ordered from Amazon.co.uk. 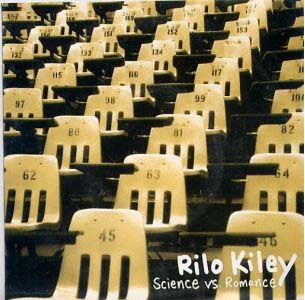 The third full-length from Rilo Kiley, recorded mostly in Omaha in late 2003 and released August 17th, 2004 on their own label, Brute/Beaute, distributed by Warner Brothers. - A special limited edition CD was sold at the More Adventurous release show at Los Angeles' John Anson Ford Theater on July 23, 2004. The music is the same as the regular album, but it comes in a cardboard sleeve with special artwork. (picture) Each of the 1000 copies is individually numbered. - The vinyl release came out on Barsuk records November 23, 2004. It features an alternate version of "A Man/Me/Then Jim" that has a slightly extended ending. - The Japanese CD release came out on April 13, 2005. It includes the bonus track "American Wife" (which is also a b-side on the Portions For Foxes CD2 single). - There are also at least a couple different promo samplers for the album. One is in a slim jewel case, and the cover picture is exactly the same as on the album except with the words "album sampler" below the title. It includes 4 tracks: "Portions For Foxes", "It's A Hit", "I Never" and "More Adventurous". - Another sampler features a band photo as the cover, and mentions their inclusion on the Must Love Dogs soundtrack and Coldplay tour (picture). It features 3 tracks: "I Never" (radio edit), "Portions For Foxes" (radio version), and "Does He Love You?" The catalog number is Warner Bros. Brute/Beaute pro-cdr-101625. Officially-released live recording of an intimate, semi-acoustic Jenny/Blake in-store performance at Fingerprints Records in Long Beach, CA. The back states it was recorded on 8/19/04, but it was actually a day earlier. Several more songs were performed than appear on the CD, but the set was trimmed down to "EP" length for some reason. The song "Somebody Else's Clothes" is an otherwise-unreleased track, apparently at one point considered for Jenny's first solo album. Released in November '04, the CD had a limited pressing.. not sure how many, but it's become pretty hard to find lately. CD single (1 of 2), released in the UK on March 14, 2005. "A Town Called Luckey" is apparently an outtake from the More Adventerous sessions. There is also a 1-track promo featuring Portions For Foxes - Radio Version (4:15), with a slightly different sounding intro and an earlier fade out. CD single (2 of 2), released in the UK on March 14, 2005. "American Wife" was almost included on More Adventerous, but was cut from the tracklist just before the album was released. Because of International format differences, you will likely need an ALL CODE dvd player to view to "Portions For Foxes" video. CD and 7" vinyl released in the UK in July, 2005. "Patiently" is an outtake from Execution of All Things. The b-side to this single was originally planned to be "Simply Irresistible" (XFM session), but was switched with "Patiently" at the last minute. Many online stores still list the wrong b-side. 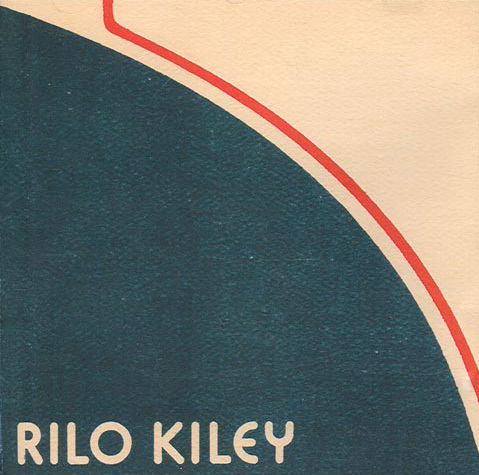 Promo release featuing about 21 minutes of live footage from Rilo Kiley at the John Anson Ford Theater on 7/23/04, the More Adventurous release show. It was offered by Comcast On Demand for a while (and maybe still is? I don't know anything about On Demand). The actual dvd is pretty hard to find, but the live video can be found online without too much trouble. CD released in the UK in August 13, 2007. The b-side is the non-album track "Draggin' Around". Some online retailers may mistakenly list the b-side as being "Big Break". 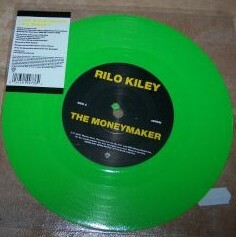 7" on opaque neon green vinyl in a clear plastic case, released August 13, 2007. The b-side is the non-album track "Big Break". Availability: record stores, I guess. eBay. 7" on translucent dark green vinyl included as a bonus with pre-orders of Under The Blacklight from Insound.com and certain indie record stores. Availability: not sure if Insound still has copies. Should be found easily on eBay. The vinyl version includes the album on cd as a bonus. Second single from Under The Blacklight, released November 27, 2007. Includes the regular version of the song, plus an 8-minute remix featuring different music, keeping only Jenny's vocals. Download-only "EP" first made available in June 2008 featuring a couple remixes unavailable elsewhere. 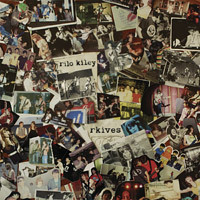 Announced in early 2009, and finally released April 2, 2013, this long-awaited collection of unreleased songs, b-sides, and rarities spans Rilo Kiley's decade-long career. The compilation includes nine never before released songs, a variety of demos, b-sides, and hard to find tracks. A "deluxe bundle" edition also comes with the album on vinyl (with a different hidden track, sung by Blake), assorted goodies, and a bonus cassette tape of unreleased demos.